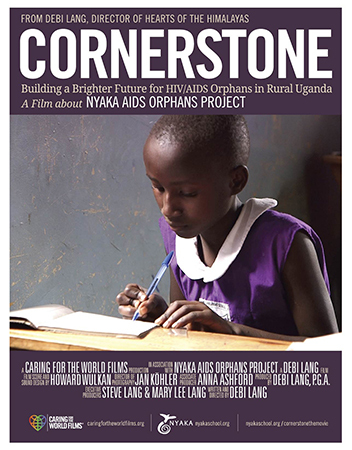 CORNERSTONE is the inspiring documentary film about the journey of Twesigye Jackson Kaguri, a humble immigrant living the American dream who leaves Columbia University to return home to Uganda to care for his only brother Frank, who is dying of AIDS. 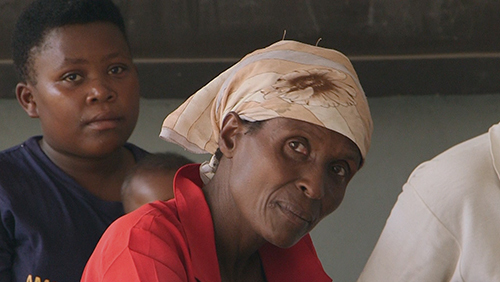 Jackson discovers the disease that killed his brother and sister has overwhelmed his home village. When he realizes no one is going to help them, Jackson makes a decision, which will forever change the course of his life and the lives of the people of the Enengo Valley in Western Uganda. 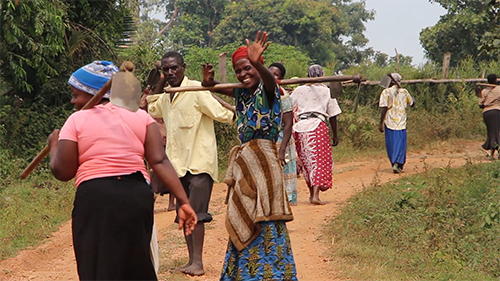 The film, by award-winning director Debi Lang, touches on Twesigye Jackson Kaguri&apos;s moving personal story, which inspired the creation of Nyaka AIDS Orphans Project, a motivated, comprehensive, community-based organization that utilizes a unique holistic approach to not only combat hunger, illness and poverty, but also to educate children, create financial independence, and empower girls and women. Jackson&apos;s work with Nyaka AIDS Orphans Project has earned him the respect of humanitarians worldwide including the United Nations. He received the 2015 Waislitz Global Citizen Award, was named a 2012 CNN Hero, is recognized in Time Magazine&apos;s "Power of One" series is a Ted Talks participant and has authored four books, including "A School For My Village". "Award of Excellence: Women Filmmakers"
"Award of Excellence in the Documentary Short, Liberation, Social Justice, Protest, and the Direction categories"
"Official Selection: Documentary Feature Category"
"Award of Excellence Special Mention for Documentary Short "
* * * "Best Human Rights Documentary"
* * * "2017 Bronze Telly Award for Non Broadcast Media Video Production, Charitable/Non Profit"
The African Film Festival in Dallas. Would you like to host a private screening of this film? Please contact us by emailing info@nyakaschool.org.